The following is a guest post by two German students, Laura and Sophie, who tried an experiment to live one week without plastic trash. Please enjoy, and if you know of good resources in Germany, please be sure and leave a comment for them. The first plastic-free shopping was not that easy. Once you enter the supermarket, you notice that there is almost nothing you can buy as you would normally do. Usually, I am going to the supermarket and buy the things I like the most and which are affordable. But now there is a restriction: no plastic package. Here in Germany, they do not offer the vegetables I am always buying without plastic package. So I have to take another salad and different apples and put them into my reusable bag. Somehow I think it is better to put them into different plastic bags. But why? Actually, I do not know why and it is senseless as well. Now I know: the vegetables are the same and do not break if they are together in one bag. Additionally the till girls weights it separately and actually likes doing it this way. At the dairy counter, I had doubts if they would put the cheese in the box I brought — and I was right with my doubts! In some supermarkets, they refused to do it but in other supermarkets like at the REWE (a usual German supermarket) in my hometown they agreed. Things which are brought are not allowed to cross the dairy counter. But consider: the cheese can be weighted behind the counter and then it can be put in my box which is laying on top of the counter. I am very happy that it works like this. In Germany, we also often go to discounters like Aldi and they do not have a dairy and cold-cuts counter — so you can only get your cheese and cold-cuts in plastic. This is why you really have to go to a supermarket which means grocery shopping becomes a lot more expensive. Vetaretus-1. Plastic-free week. Dairy counter. Furthermore, I needed detergent which was also mentioned on my buying list. Liquid detergent is always packaged with plastic in Germany. And I guess it is the same everywhere in the world… So this time I needed to take washing powder because it is packaged with a boxboard. Alongside the plastic waste experiment, I additionally do some product testing. If I would not do an experiment like that I maybe never have bought these products. When I have a look at my final purchase I am very proud of myself. I did it! — No plastic waste! Vetaretus-1. One week without plastic waste. Grocery shopping. It is common in Germany to use PET plastic bottles for water every day. So, at first, I got a reusable bottle to fill up with water. Right now after the experiment, it becomes senseless to use a new bottle every day and to trash it every time. When I went to the “Hessentag” (a little festival of the State of Hesse) I took the bottle with me and it even was a good companion: I prevented not only to produce plastic waste but also saved money. Vetaretus-1. One week without plastic. Hessentag. Furthermore, I stopped the usage of plastic bags for my buns and now take reusable boxes. Many people use these boxes — mostly from the “Tupperware” but I did not before the experiment. But when I think about my daily usage of plastic bags I really get a bad conscious now. After the experiment, I will still use my reusable bottle and boxes. Sometimes you really need to resign to do something if you want to prevent to use plastic at all. Like when you go out, a lot of beverages are in plastic in Germany. For example, in this case, there was only milk in little plastic packages and hence I had to drink a black coffee the first time of my life. My experiences within the week without plastic were somehow different. I have to admit that I had some difficulties at the beginning of the experiment to internalize the idea to live without producing plastic waste. At least at university, there were my teammates who helped me to prevent aberrations. In the break, I wanted to get yoghurt in the refectory of the campus just to ease my mind. I was full of anticipation until I recognized that yoghurt at the refectory is packaged with plastic. No yoghurt for me…I had to resign to reward myself with yoghurt because I was not prepared for a situation like that and in a quick way, there was no alternative available. In addition, I enjoy eating sweets but at home, I could only find sweets packed with plastic. Therefore, I ate canned mandarins — a quiet good alternative. 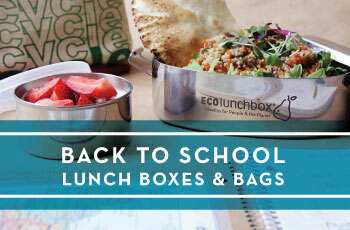 Generally, I take reusable boxes to carry food to school every day. A good thing to prevent plastic waste and I am already used to it. To avoid plastic waste because of PET bottles I started to reuse one bottle for the time of the experiment and refilled it with faucet water — not a big challenge for me. One day I walked right into the trap of the usage of plastic as a matter of course. Unfortunately, I did not recognize it until I went to the bin to dispose of the waste. Ups! Vetaretus-1. One week without plastic. French fries. All in all, living without plastic waste was quite hard for me because I don’t live alone in my own household. In my view, all residents of a household have to live together without plastic and have to share the opinion about not using plastic. Only then, a plastic-free life can really work out. Such a change would come with some monetary investments as well, e.g. you have to buy a reusable drinking vessel. For a real plastic-free life you also have to find a wooden toothbrush and all plastic vessels — from shower gel to toothpaste. Those have to be replaced with alternatives. Finding those alternatives is not very easy in Germany. In the normal supermarket or drug store, you won’t find plastic free beauty products! You really need to be ready to change all the products you have used before or you have to renounce some products as well. This change of habits has to be done in every detail until there is no plastic in the house anymore. When I think of my home, there is plastic EVERYWHERE! So there is a long way to go! We are happy that our challenge was only for one week. So we can eat our favourite chocolate now again! Because chocolate usually is in plastic in Germany L. We focused mainly on reducing plastic in the area of food & beverages. When it comes to beauty products, it’s even harder not to produce any plastic waste. Otherwise, we probably wouldn’t have managed the challenge without turning our lives upside down. Anyway, everybody can reduce his plastic waste tremendously when he just thinks about where he really needs to use plastic. If you take a closer look at your behavior, you will find a lot of potential! Even this small change — not to waste anything that is not necessary – will help the environment a lot. Don’t use PET bottles! In Germany, it is common to buy water and all the other drinks in plastic bottles. There is a bottle deposit, so you return them but they will not be used again. It is really simple to fill water from the tap in a reusable bottle and take it with you. However, many Germans like water with gas. Then they should buy it in glass bottles or mix the water with gas themselves. By the way, water from the tap has no transport route, so you also do not waste CO2 and the quality is really good, at least in Germany! Take vegetables and fruits without plastic wrapping! In Germany, there are also some vegetables and fruits without wrapping. Then do not put it them another plastic bag but in your reusable bag. The supermarket will weight it anyway and the food does not hurt itself if it is together in one bag. Cheese and sausages in our own containers! Just take your own container to the counter and ask if they could put the cheese and the sausages in there and tag it with a price tag. They sometimes do not like to do it, but most of the times they will do it anyway. Own cultivation! Maybe not possible as a student living in a city but a nice plan for the future. Thanks to my family I can always help myself in our garden. On top of not wasting any rubbish, it’s organic, regional and seasonal as well! Vetaretus-1. Plastic-free week. Own cultivation. Do it yourself! For instance, we did not find any potato chips without plastic wrapping. But what about making them yourself in the oven? Really tasty and plastic-free! Decide for products that are offered in paper instead of plastic! For everyone who really wants to live without any plastic, there are alternatives, even if they are hard to find. Therefore, we also found some chocolate wrapped in paper or detergent in a paper box. Tissue boxes instead of usual plastic packages! Especially at home really easy to realize. Just put a tissue box everywhere. We hope our tips will help you for taking the first step in reducing your plastic waste. Just try it out! With considering only some small things you can already change something. Do not be afraid, it does not mean you have to change your whole life! Let’s go! This entry was posted in Interviews and Guest Posts on August 2, 2015 by Beth Terry. I hope others have better suggestions, but a temporary one is – if you keep all the paper bags you receive – put two or three bags inside one another, making a multi-layer bag. I do this when I’ve a fair few kitchen scraps. The whole lot then goes on the compost heap. You need to find a retailer who will refill your washing-up liquid/clothes detergent/etc container or suggest to one to look into it. Wholefood shops would be more amenable to this than most others. We have one locally who also sells a lot of loose food (veggies, lentils, nuts, grains, etc) too. The washing-up liquid container we use is plastic – we’ve been refilling it for at least 15 years! I am British but live in Berlin and I think Germany has a lot of plastic-free food on offer, because of all the small businesses & markets. There are lots of brands of lentils/pulses and pasta which are packaged in cardboard boxes. We have only 2 rooms but grow herbs & lettuce on the balcony, and mustard cress on the windowsills! Milk and yoghurt comes in glass from the Bio shops but it is expensive in comparison to other plastic-lined, cardboard-packaged brands. This is a great beginning, I hope many of their classmates take notice. For my plastic free July I bought more nonGMO than I have ever before, just because the store I usually frequent didn’t have the ingredients I wanted.I found a couple serving bowls (pressed glass) to replace my large plastic one. But I did get hung up needing to economize with my toilet paper and dish soap purchases. And, I need to just stay out of the Dollar Tree! I plan to continue my plastic-free pursuit, thank you Ms. Terry for your example!